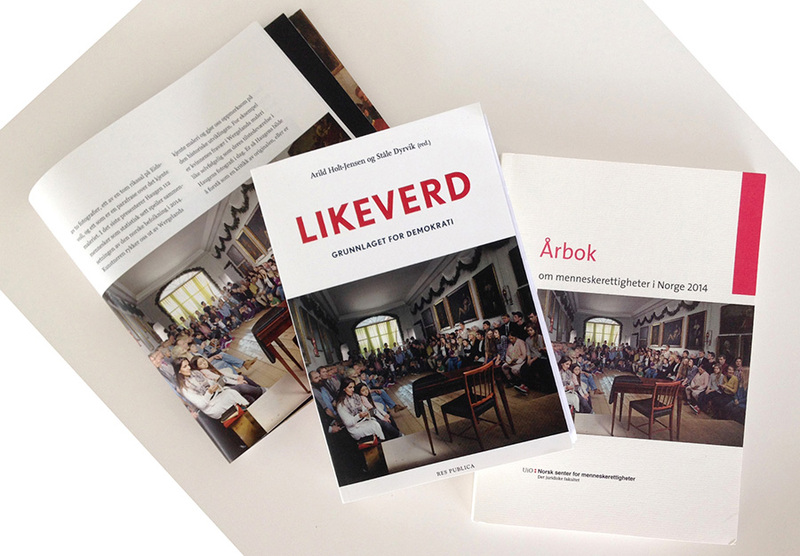 Publication about the artproject STAVANGER2018 / KA DÅ ITTEPÅ (2005-2011) with texts by Johan Harstad, Geir Sverre Braut, Ine Fintland, Hans E. Voktor, Arild Rein, Nils Henrik Asheim, David Karlsson, Gabriel Byström, Geir Haraldseth, Jörgen Svensson, Jan Inge Reilstad og Trond Hugo Haugen. 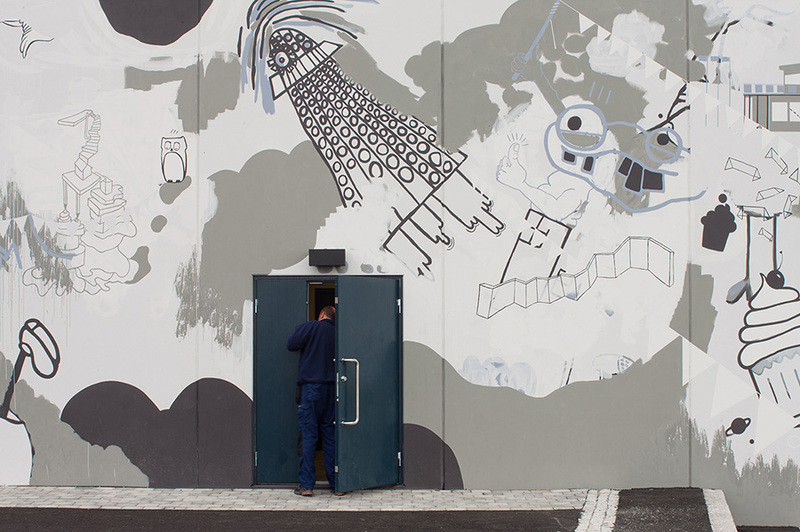 Forword by Marte Danielsen Jølbo. From the book Made in Norway. New Norwegian Architecture (2016). 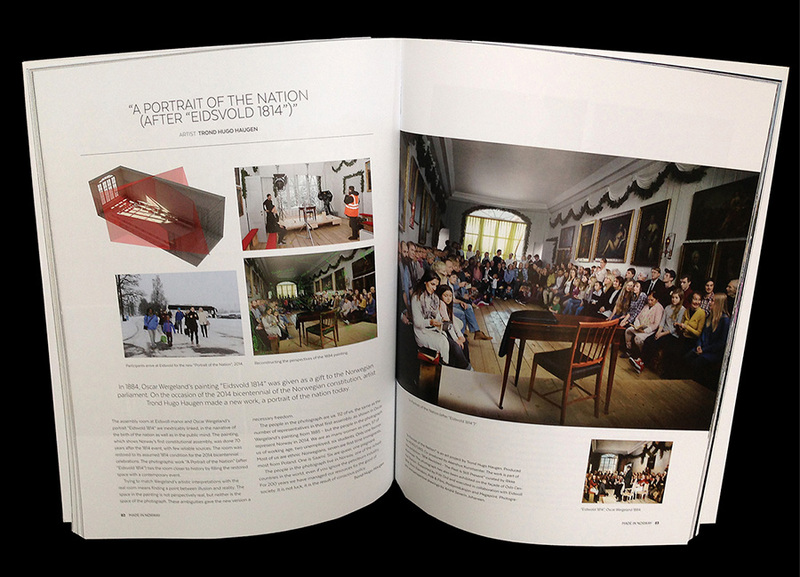 The publication documents 40 recent projects built in Norway within the last five years. 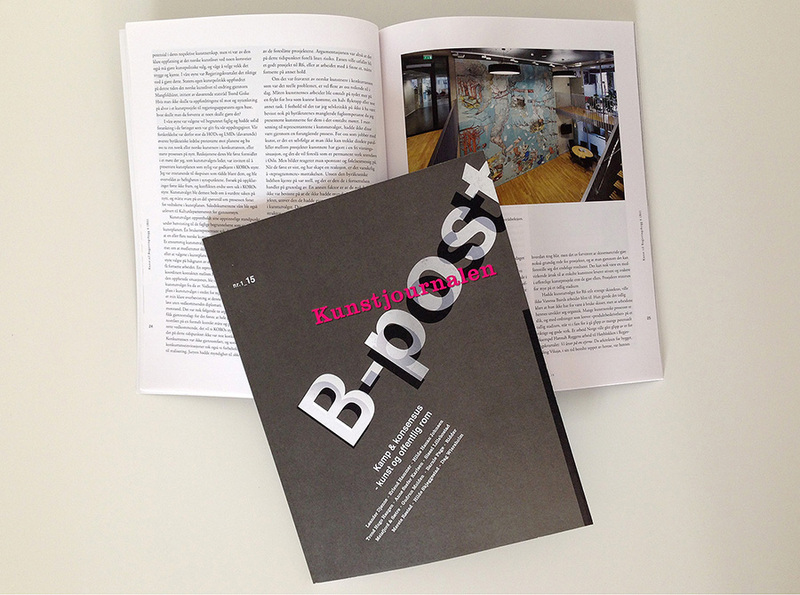 Kunstjournalen B-post is an annually published journal on contemporary art. 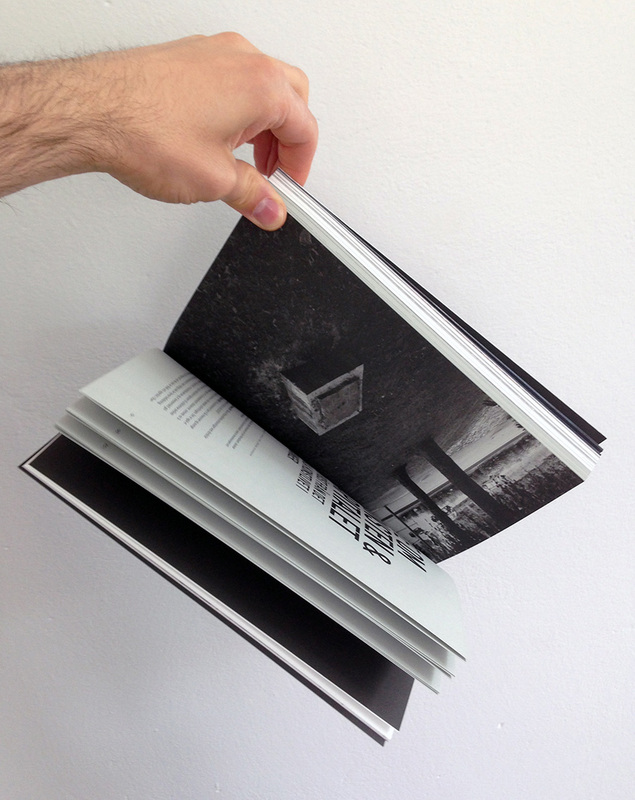 Each issue discusses current themes through commissioned texts and art projects. This issue is titled Battle and consensus - art and public space and is dedicated to art in public space. 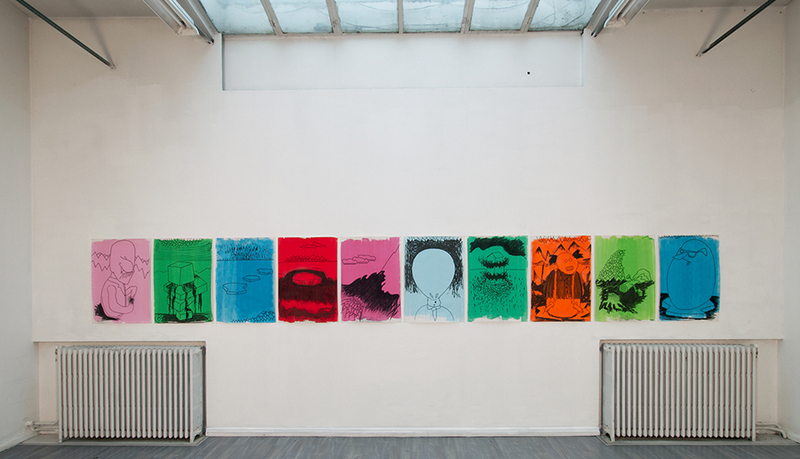 Texts by and with Anne Szefer Karlsen, Hilde Skjeggestad, Erlend Hammer, Hilde Hauan Johnsen and Gudrun Molden, Dag Wiersholm, Merete Røstad, Sissel Lillebostad and Trond Hugo Haugen. 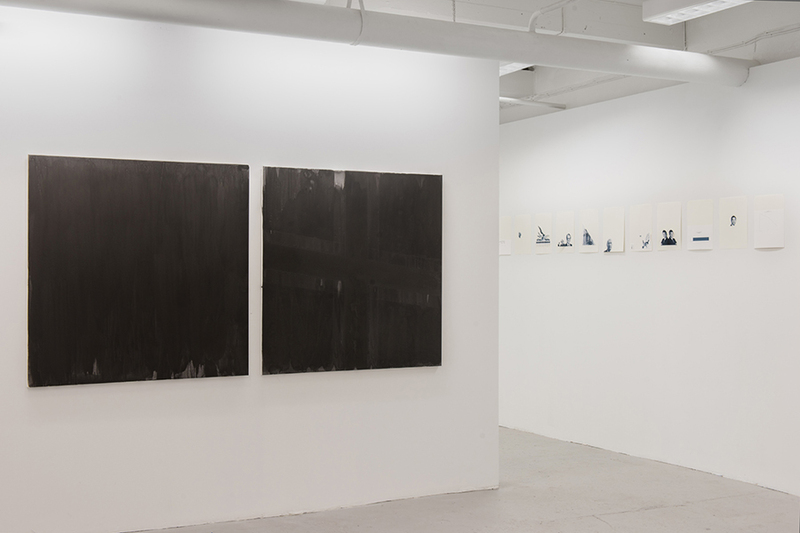 and art projects by Leander Djønne, Ridder, Katrine Meisfjord and Gitte Sætre, and Bernie Page. Editors: Sissel Lillebostad and Trond Hugo Haugen. Drawing, 59x84 cm, charcoal on paper. Photo by Øystein Thorvaldsen from the exhibition UTTAK at Tegnerforbundet, Oslo, FEB 2017. 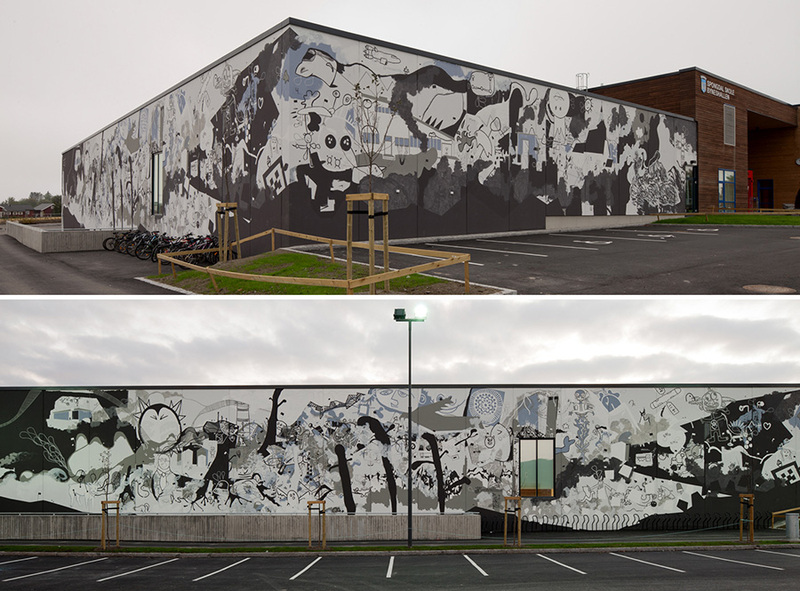 Mural, 740 square meters. Lightbox, 100 cm. Concrete elements, ten of of variable size. 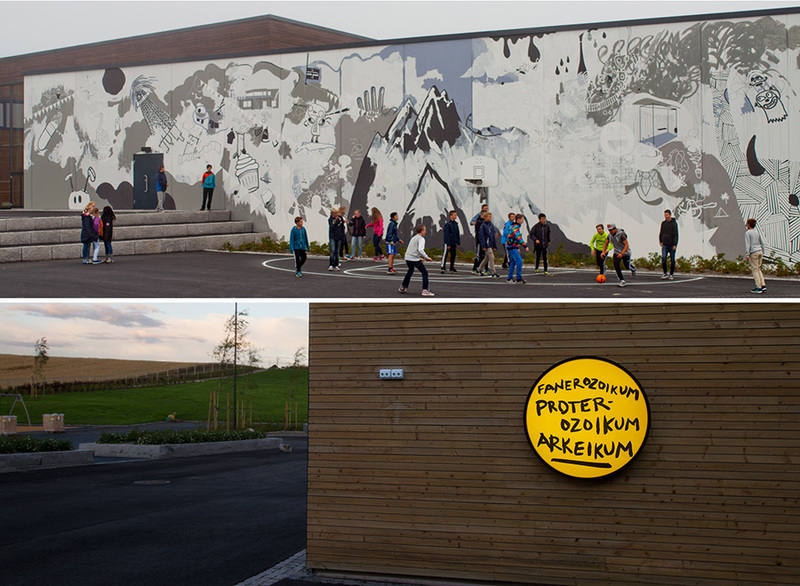 Public commision for Spongdal elementary and lower secondary school, Trondheim, Norway. From the exhibiton Et riksportrett (etter Eidsvold 1814) at Oslo S. Essay by Hege Skjeie and Knut Ljøgodt. 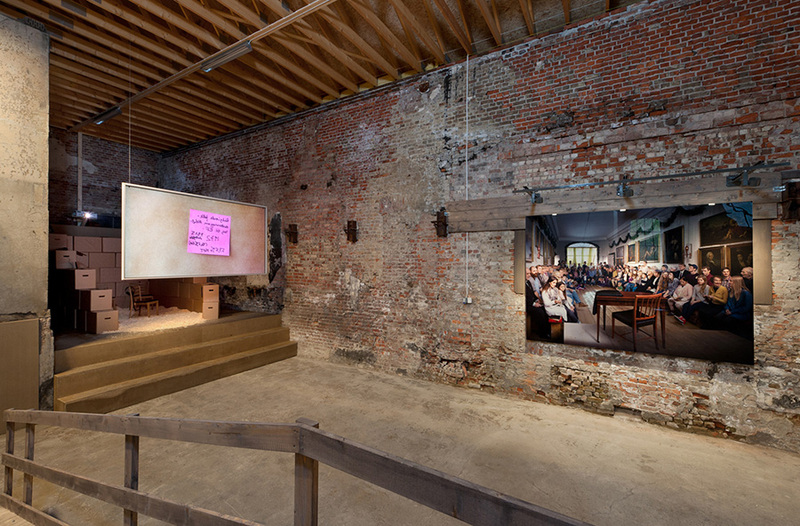 Installation view from the exhibition 1814 REVISITED – The Past Is Still Present, Eidsvoll Verk / Akershus Kunstsenter. To the left: Lene Berg. 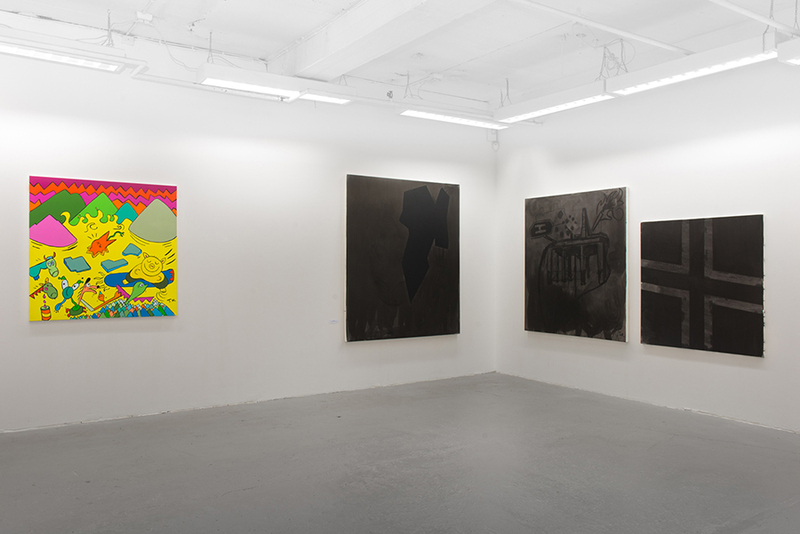 Group show with Kjersti G. Andvig, Lars Lauman, Ahmad Ghossein, Ane Mette Hol, Lars Ramberg, Merete Røstad, Artur Zmijewski, Charlotte Thiis-Evensen and more. 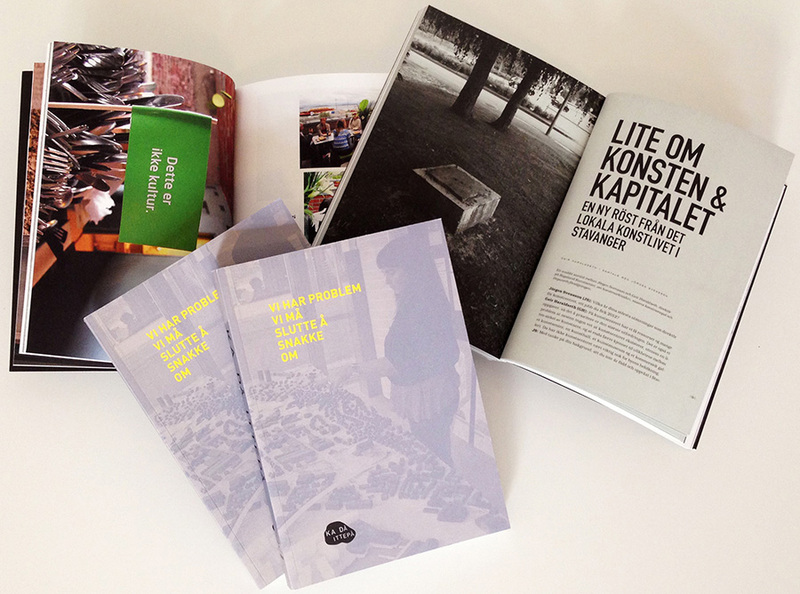 Essays by Kjetil Røed, Arve Kleiva, Vanessa Place and Espen Stueland. Et riksportrett (etter Eidsvold 1814) / A Portrait of a Nation (after Eidsvold 1814) is a color photograph based on the iconic painting Eidsvold 1814 (1885) by Oscar Wergeland. The painting shows the 112 representatives in the Constituent Assembly who established and adopted the Norwegian Constitution 200 years ago. 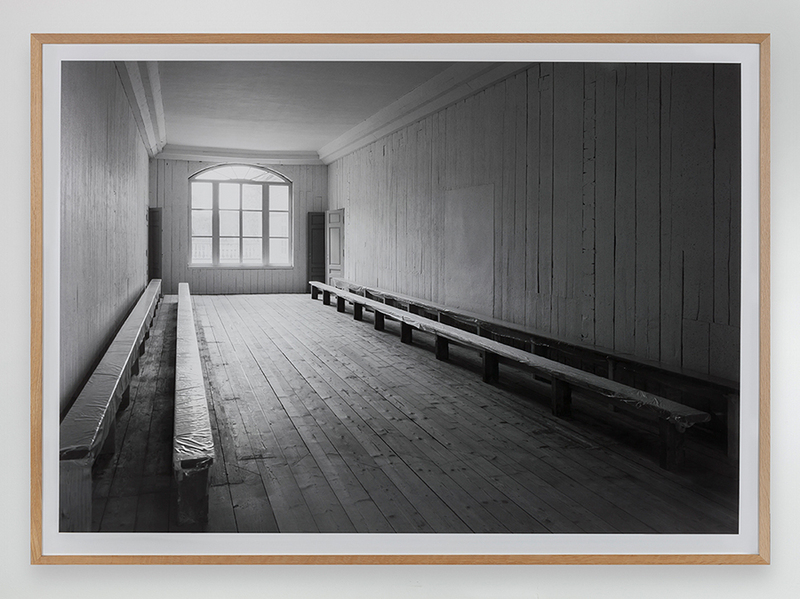 Coinciding with the bicentennial anniversary of the constitution, artist Trond Hugo Haugen has created a photograph with a statistically correct representation of contemporary Norway. 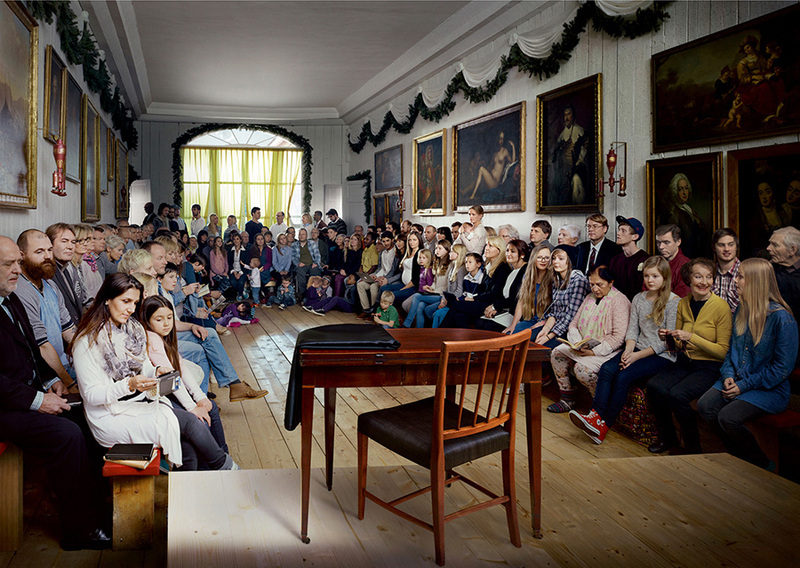 The Norwegian population has been scaled down to 112 people to match the number of representatives present in 1814. The photograph represents Norway in 2014 to cover gender, age, ethnicity, occupation, belief, sexual orientation and so on. 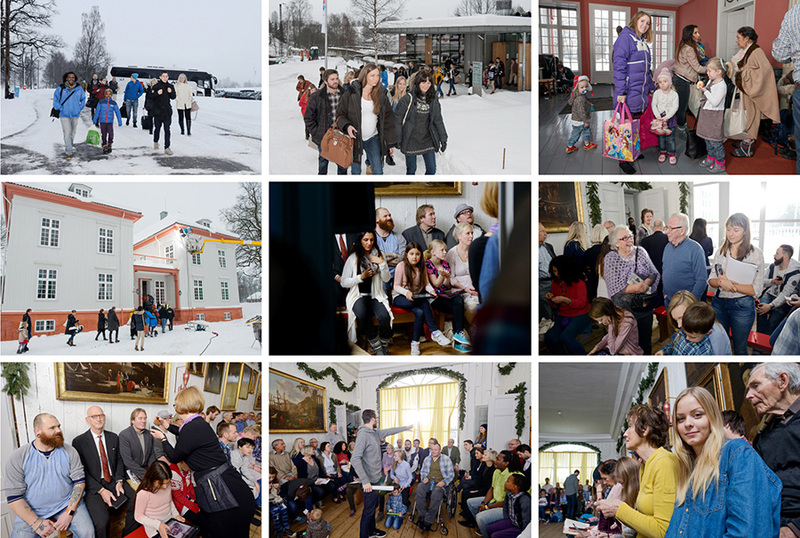 From the shooting in Rikssalen, Eidsvoll House (Eidsvollsbygningen), FEB 2014. 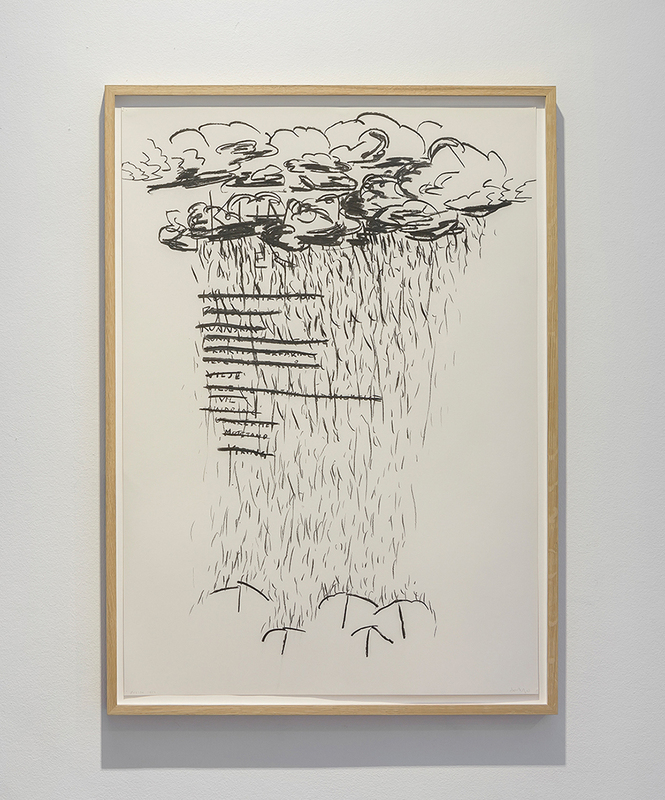 Series of drawings, 59x84 cm, charcoal on paper. Photo from Open Studio at W17, Kunstnernes Hus, Oslo, FEB 2014. Series of drawings, 59x84 cm, charcoal/acryl/markes on paper. Photos from Open Studio at W17, Kunstnernes Hus, Oslo, FEB 2014. 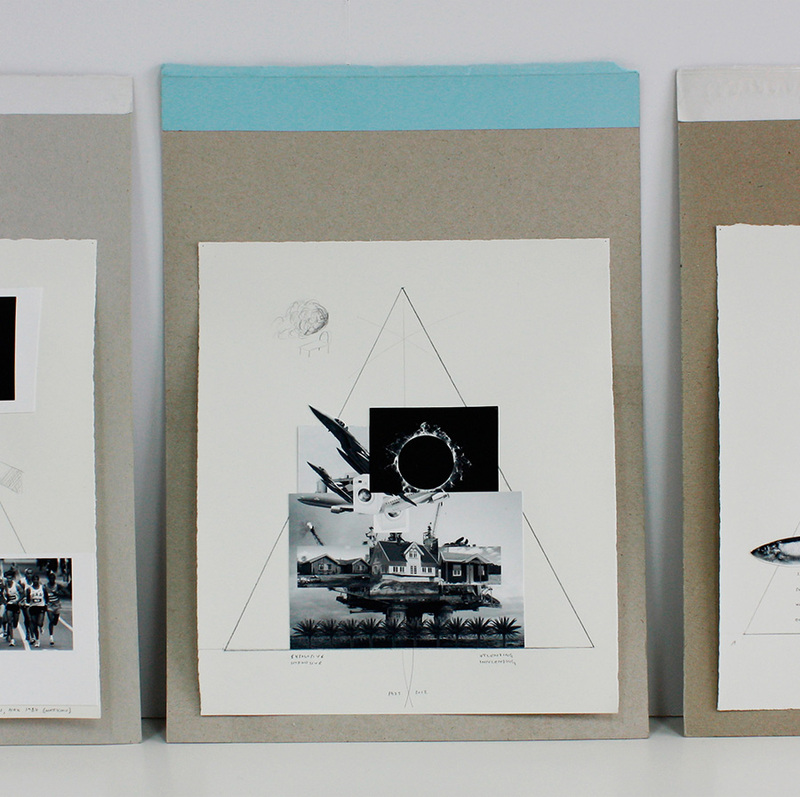 Series of drawings, 21x30 cm x 5, pencil / collage on paper. 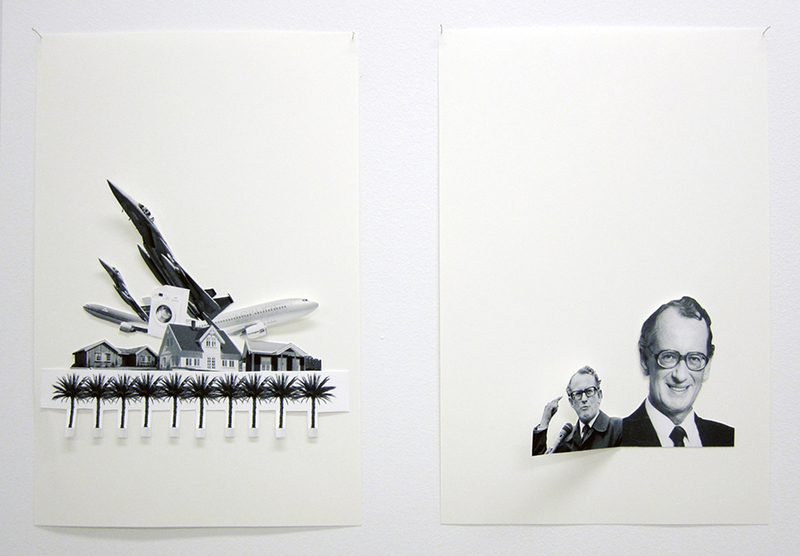 Series of collage, 21x29 cm x 16, pencil/photo on paper. 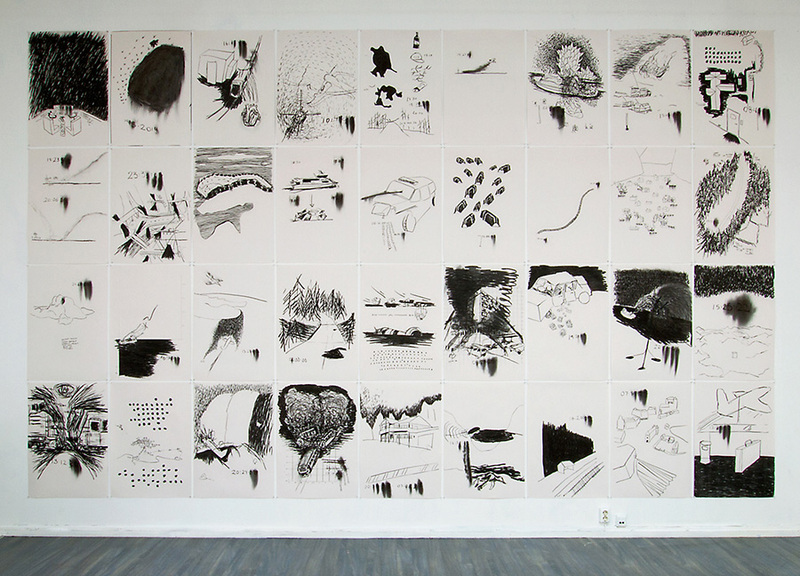 Series of drawings, ink on canves, difference sizes. No I. 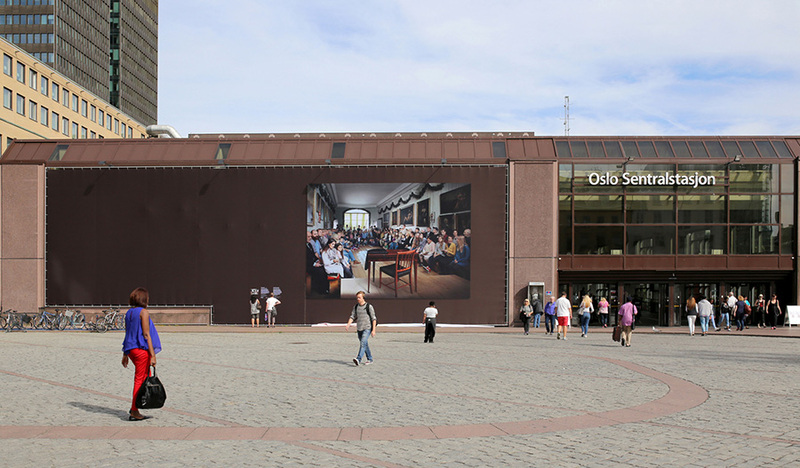 (130x150 cm) courtesy of Stavanger Art Museum. Installation view from the exhibition Det er fritt frem å forkaste det og erstatte det med noe annet (Feel Free To Discard It And Replace It With Something Else), Galleri Gann, OCT 2012. 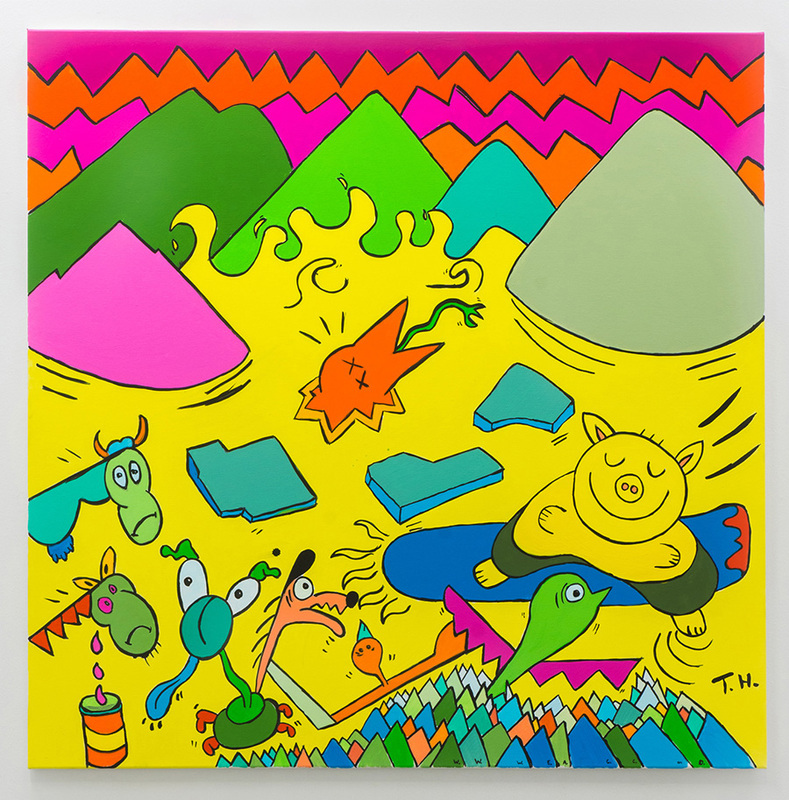 Drawing, 100x100 cm, acryl on canves.